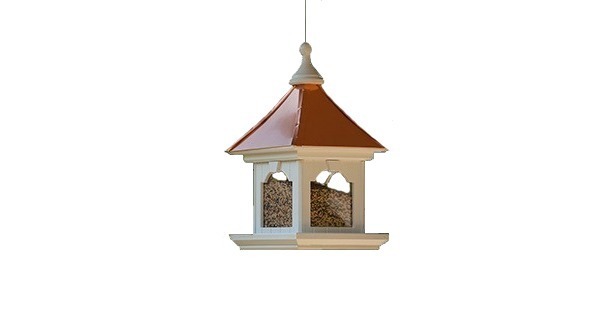 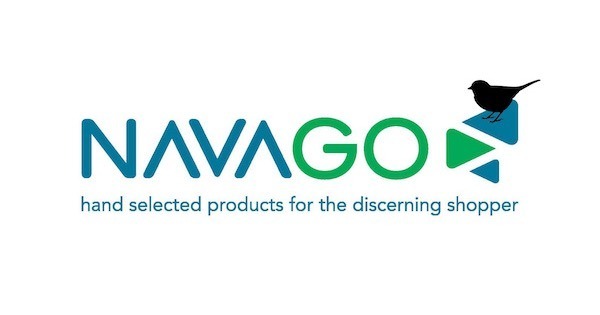 Navago Bird Products Hanging bird feeder available in Patina Copper or Bright Copper roof. 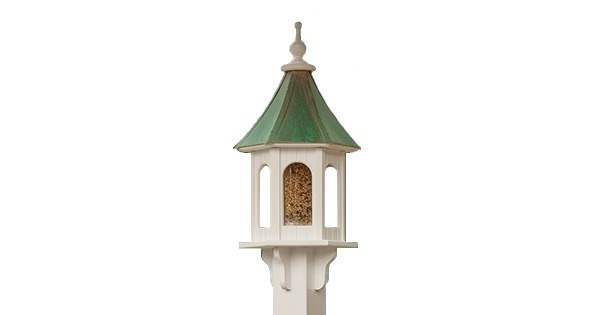 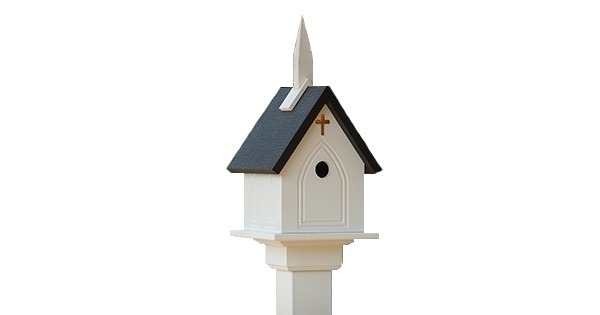 12" square, large capacity bird feeder with copper roof. 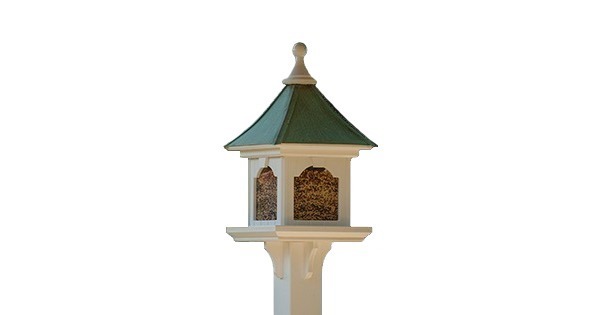 - To fill large capacity bird feeders, lift finial and pour in seeds.